Experience luxury accommodation in this fabulous two bedroom apartment set in a new development in Canary Wharf. 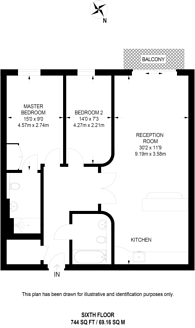 The property has good transport links and a private balcony. Millharbour is excellently placed for the fantastic selection of shops, bars and restaurants in Canary Wharf. Whilst South Quay DLR station provides superb access to central London.